I have several frags of blue hornets. 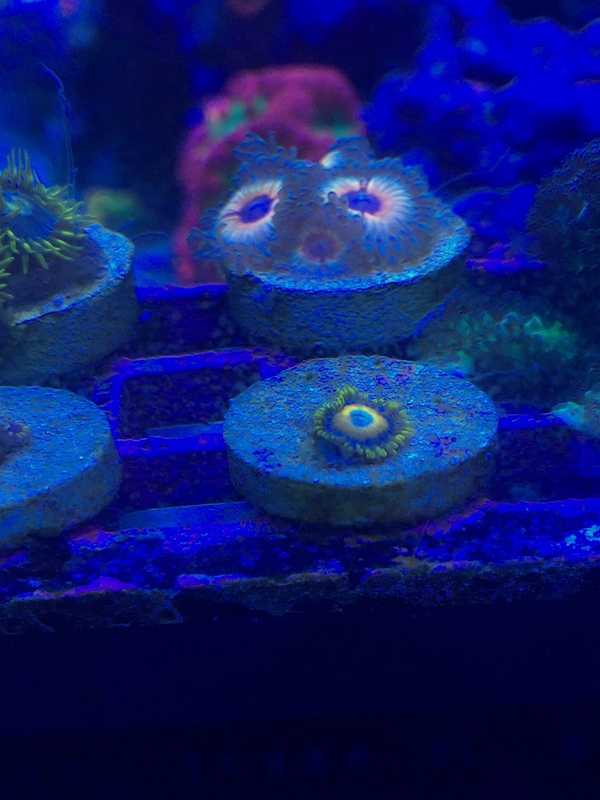 2 polyps for $10 and 5+ polyps for $20. Please specify which one you would like. Pic is of colony, sorry it's terrible. 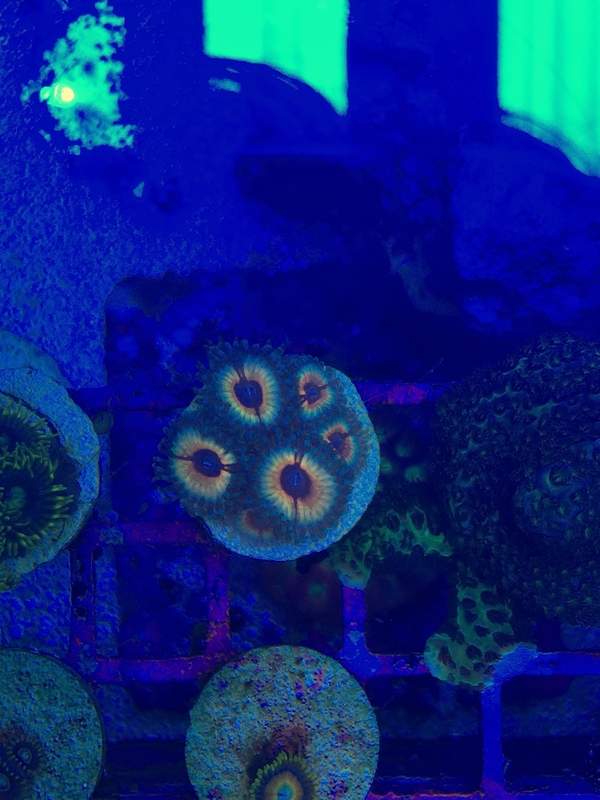 Wysiwyg 6 polyps. 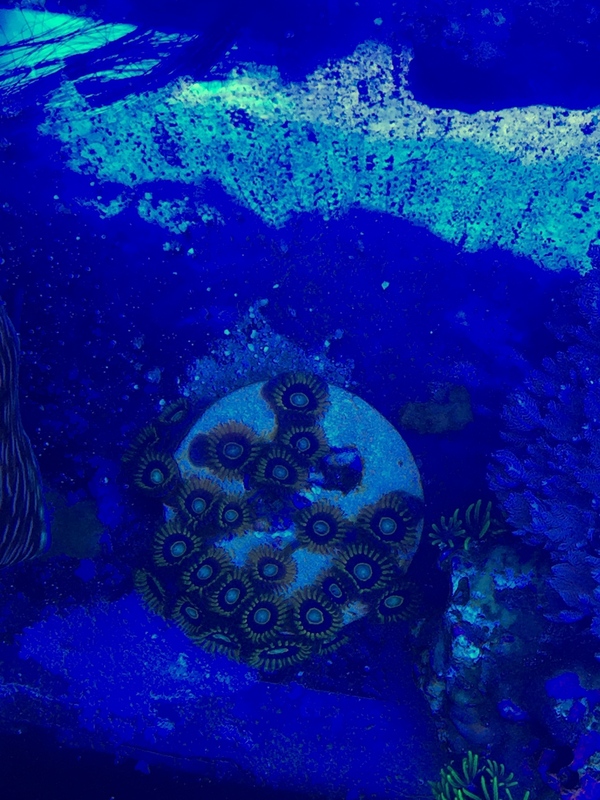 Super nice zoa.